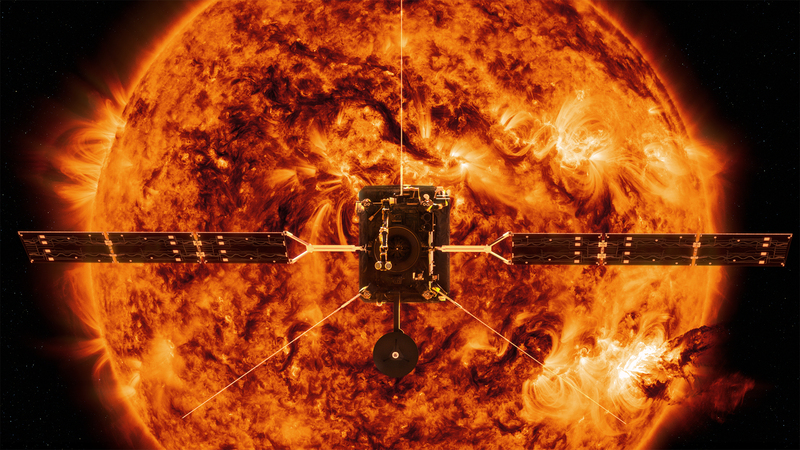 Solar Orbiter is a medium-class mission of ESA’s Science Programme. The mission is dedicated to solar and heliospheric physics. ESA’s Solar Orbiter mission is conceived to perform a close-up study of our Sun and inner heliosphere – the uncharted innermost regions of our Solar System – to better understand, and even predict, the unruly behaviour of the star on which our lives depend. 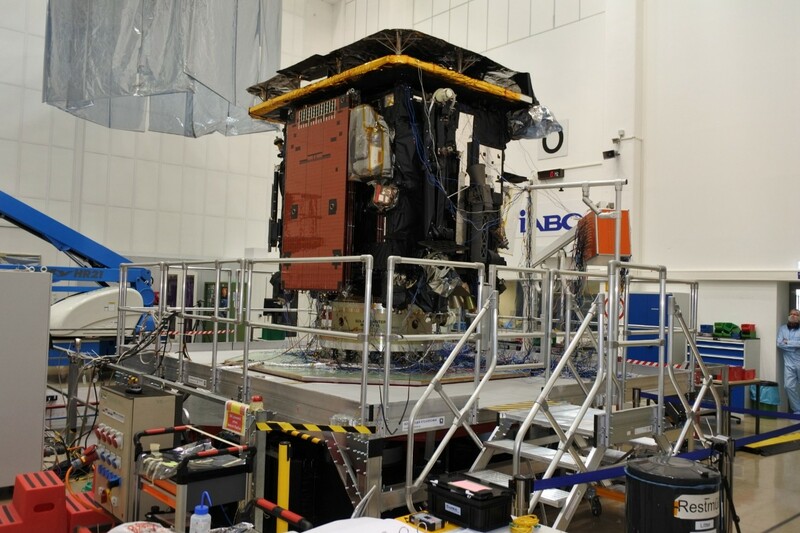 Solar Orbiter spacecraft was already completed, including scientific payload, and is now under testing in IABG (Industrieanlagen-Betriebsgesellschaft GmbH), a German analysis and test engineering company based in Ottobrunn near Munich. 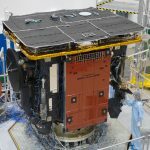 If the testing campaign will be successful, the probe will be dispatch in autumn this year to Kennedy space centre, from where its launch is planned for February 2020. The Czech participation on Solar Orbiter supported by the Ministry of Education, Youth and Sports so far exceeds 6,5 MEUR. The participation on Solar Orbiter is the most important Czech participation on space projects from the era of Interkosmos programme. The estimated costs of the Solar Orbiter mission are 780 MEUR, excluding scientific payload. Spectrometer – a telescope for X-ray imaging, enabling the study of physical processes in solar flares and other energy phenomena in the solar atmosphere. The Czech Republic developed and manufactured power supply unit (low and high voltage) as well as the flight software for the STIX instrument. The Astronomical Institute of the Czech Academy of Sciences together with companies CSRC and Evolving Systems Consulting participated in the project. 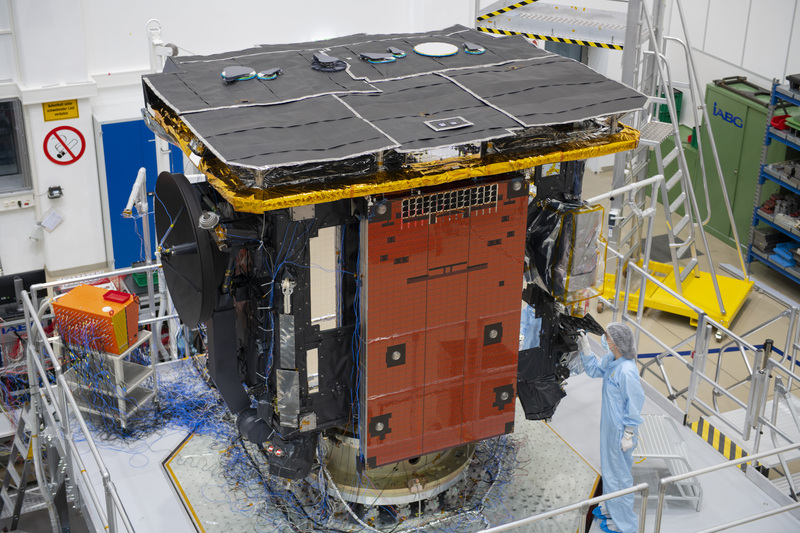 The contribution of the Czech Republic to the METIS instrument was focused on delivering the main optical components: mirrors M1 and M2. These optical elements are crucial in METIS optical system because they provide an image of the solar corona, which will be recorded by METIS detectors. Therefore, the requirements for the quality of these mirrors were very high. Czech participation on METIS is coordinated by the Astronomical Institute of the Czech Academy of Sciences, the mirrors were developed and manufactured in TOPTEC, which is part of the Institute of Plasma Physics of the Czech Academy of Sciences. The Czech contribution consisted of development and supply of boards of the proton block of proton and alpha PAS alpha spectrometer block from the SWA instrument family. Solar Wind Plasma Analyser Complex – its 3 sensors will measure the density, velocity and temperature of solar wind ions and electrons at high time resolution and collect data on ionic composition and key heavier features. The Czech participation on this project was coordinated by the Faculty of Mathematics and Physics, Charles University. The project covered the manufacturing and testing of the TDS module for the RPW (Radio and Plasma Waves) instrument. TDS is a digital wave analyser implemented as a single circuit board integrated in the RPW instrument. TDS will digitize signals from electric and magnetic antennas and ensure on-board pre-processing of measured data. The science target of TDS is the study of plasma waves at the electron plasma frequency in the inner heliosphere. The Czech participation was coordinated by the Institute of Physics of Atmosphere of the Czech Academy of Sciences. Another Czech contribution to the RPW device was the development and production of Low-Voltage Power Supply (LVPS), a power supply unit that will power the RPW instrument. The aim of LVPS is to ensure the supply of electricity from solar panels, its regulation, and measurement of telemetric data on power consumption and filtration of harmful interference. The Astronomical Institute of the Czech Academy of Sciences together with company CSRC participated in the project. More recent photos from Solar Orbiter testing can be found on the ESA websites. 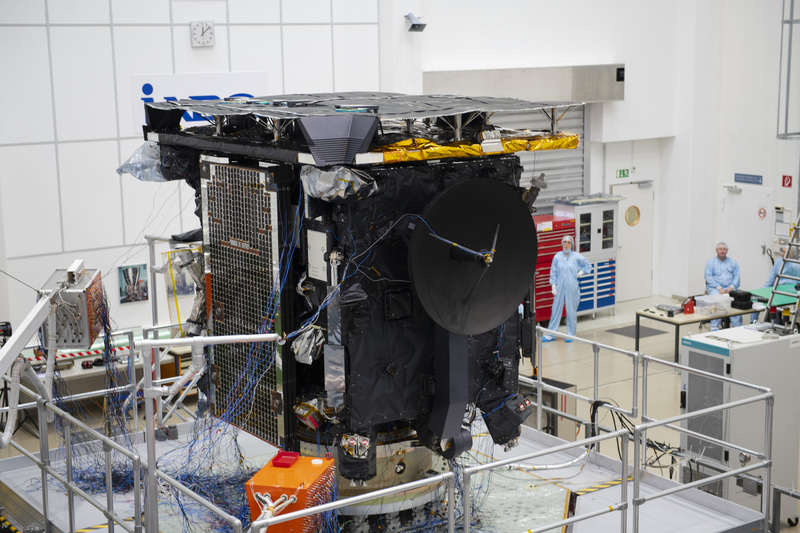 An up-to-date overview of opportunities for participation in ESA Science Programme missions and on support of instrumentation projects through PRODEX.